Zealand. He has led many strategic cultural change and transformation programmes, as well as large-scale re-organisations and leadership development programmes. 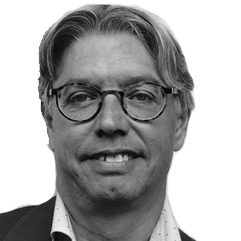 He graduated from the Rotterdam School of Management, holds a postgraduate degree in Change Management and attended the ‘Coaching and Consulting for Change’ Executive Program at INSEAD. After obtaining a solid business background working with BP, Robert Paul has worked as a (team) facilitator, consultant and trainer for a wide range of companies such as Heineken, PepsiCo, Generali, Philips, Fokker, Nokia Siemens and many others. He also is a guest speaker at universities and teaches a Masterclass Change Management for an MBA institute. Being a pragmatic business person he understands the cultural context where business issues manifest themselves and is actively looking for the ‘courageous conversations’ that will help individuals, teams and organisations to achieve improved performance.